The news has spre­ad all over Poland: at the end of the Visi­ta­tion of Mary to the Kra­ków Arch­dio­ce­se, tomor­row, on the 15th of Decem­ber, 1968, on Gau­de­te Sun­day – Advent Joy Sun­day, a coro­na­tion of a copy of the Black Madon­na of Czę­sto­cho­wa, The Queen of Poland, will take pla­ce. 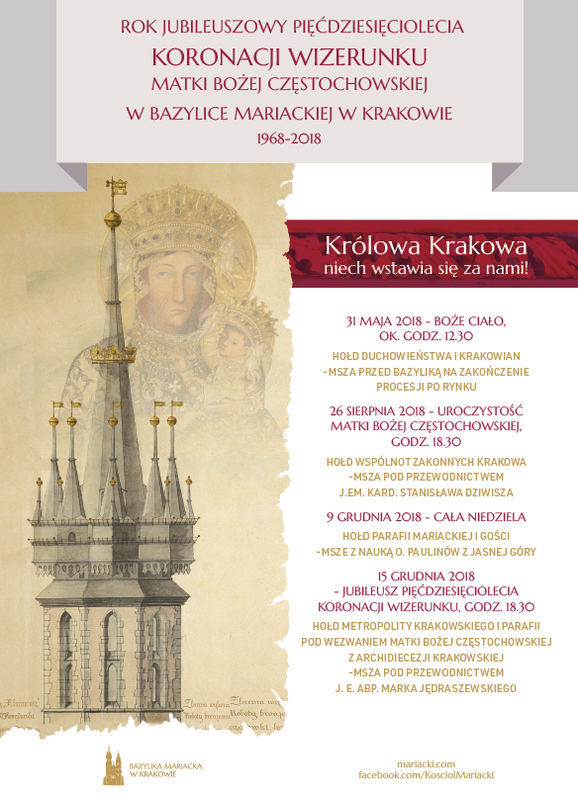 Accor­ding to the histo­ry books, this year Kra­ków and its maje­stic St. Mary’s Parish will be cele­bra­ting the 50th anni­ver­sa­ry of St. Mary’s Black Madon­na of Czę­sto­cho­wa ima­ge coro­na­tion. As the oldest copy of Jasna Góra’s pain­ting is sim­ply reve­red by the resi­dents of Kra­ków, this will be an impor­tant date for both the parish and the city itself. Many pray­ers are eager­ly offe­red to the Vir­gin Mary in a sim­ple cha­pel by the entran­ce to the Basi­li­ca. Thus, St. Mary’s Parish desi­res its pre­pa­ra­tions for the cele­bra­tions to be no less zealo­us and full of gra­ti­tu­de than tho­se which accom­pa­nied wit­nes­ses to the coro­na­tion on 15th of Decem­ber, 1968. We would also like to cor­dial­ly invi­te you to the nove­na pre­ce­ding the jubi­lee year events, which will be held on a Satur­day after the fifte­enth day of each month. 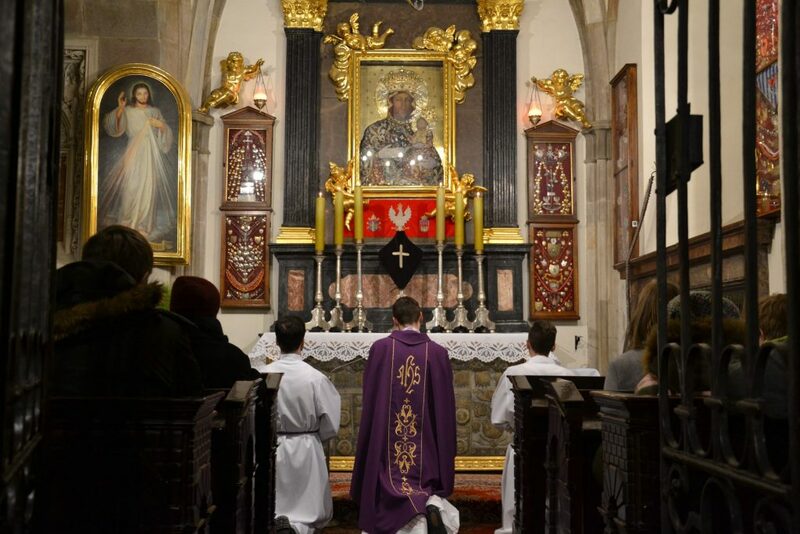 A holy mass will be cele­bra­ted at 6.30 pm, fol­lo­wed by a pro­ces­sion to the cha­pel and a servi­ce for our Patron.